Freeform‘s Dead of Summer TV series from Once Upon a Time‘s Adam Horowitz, Edward Kitsis, and Ian Goldberg has begun production in Vancouver. The cast includes: Elizabeth Mitchell, Elizabeth Lail, Zelda Williams, Mark Indelicato, Alberto Frezza, Eli Goree, Ronen Rubinstein, Amber Coney, and Paulina Singer. Production begins today in Vancouver, Canada, on Freeform’s highly anticipated new original series “Dead of Summer,” a bold, new show that examines the light and dark of a summer like no other. The series stars Elizabeth Mitchell (“Lost,” “The Purge: Election Year”), Elizabeth Lail (“Once Upon a Time”), Zelda Williams (“Teen Wolf“), Mark Indelicato (“Ugly Betty”), Alberto Frezza (“Charlie’s Angels”), Eli Goree (“The 100“), Ronen Rubinstein (“Orange Is the New Black”), Amber Coney (“Class”) and Paulina Singer (“Gotham”). “Dead of Summer” is produced by ABC Signature Studios and Kitsis/Horowitz. Adam Horowitz, Edward Kitsis (“Once Upon a Time,” “Lost”) and Ian Goldberg (“Once Upon a Time,” “Criminal Minds: Suspect Behavior”) write and executive-produce the series. Steve Pearlman (“Once Upon a Time”) serves as executive producer. Horowitz will direct the first episode. ABC Studios is a leader in the development, production and strategic distribution of entertainment content across broadcast, cable and on demand platforms. The studio is the key content provider for the ABC Entertainment Group, having produced multiple seasons of hit series, including current shows “American Crime,” “black-ish,” “Castle,” “Galavant,” “Grey’s Anatomy,” “How to Get Away with Murder,” “Marvel’s Agents of “S.H.I.E.L.D.,” “Marvel’s Agent Carter,” “Mistresses,” “Nashville,” “Once Upon a Time,” “Scandal” and “Secrets and Lies” for ABC; “Criminal Minds” for CBS and “Devious Maids” for Lifetime. For the current season, ABC Studios is producing “The Muppets,” “Of Kings and Prophets,” “Quantico” and “The Real O’Neals” on ABC, “Grandfathered” on FOX, and “Code Black” and “Criminal Minds: Beyond Borders” on CBS. Established in 2013, ABC Signature is ABC Studios’ boutique division, which spearheads development in premium and basic cable, emerging platforms and off-cycle, direct to series programming for broadcast networks. Signature recently completed production on the multi-cam comedy pilot for Freeform entitled “Gorgeous Morons,” produced by Danny Chun, Lee Eisenberg and Gene Stupnitsky. ABC Signature’s series credits include the USA half-hour comedy “Benched,” starring Eliza Coupe, and the ABC drama series “Blood & Oil,” starring Don Johnson and Chace Crawford. What do you think? How do you like the sound of the Dead of Summer TV series? 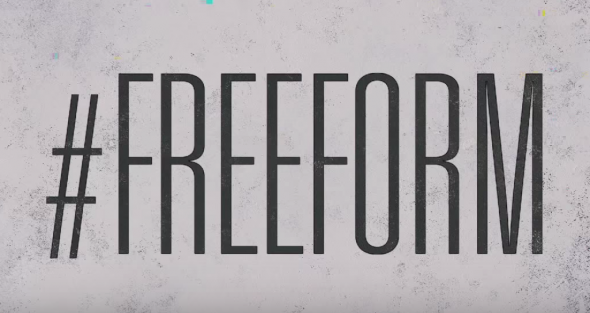 Do you plan to tune in, when the first season premieres on Freeform? Tell us! Excited to watch this new show & it’s filmed in my hometown, Vancouver.